← Are Brown Widows as Dangerous as Black Widows? If you don’t want to scroll down, here’s my etsy store – SciBugs Collections – link! For those of you who really like bling, you can find this item here. As you know probably know, I am one of the authors for this blog. I also help maintain our Facebook page, Twitter, answer as many emails and as quickly as my jungle internet allows, and run the Instagram. 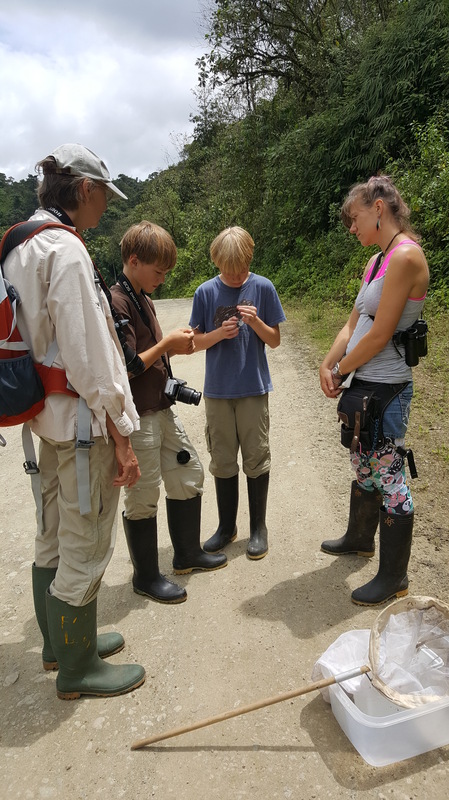 I’m also volunteering at an EcoLodge and Reserve – Maquipucuna – where I get to run around and tell tourists and students about the wonderful world of bugs. Yay! I also try and update my personal YouTube with bug stuff (and sometimes plant stuff) from the cloud forests. I get free room and board and get to do basically this all day. But somewhere among the earthquake relief, bug teachings, working with kids, maintaining the social media for Maqui, and working on general projects I found some time to start making earrings! And it’s been going really well here at the lodge. So I’ve decided to open an Etsy store! – SciBugsCollections featuring jewelry made by me! Visit my Etsy Shop and get cool beetle bling! 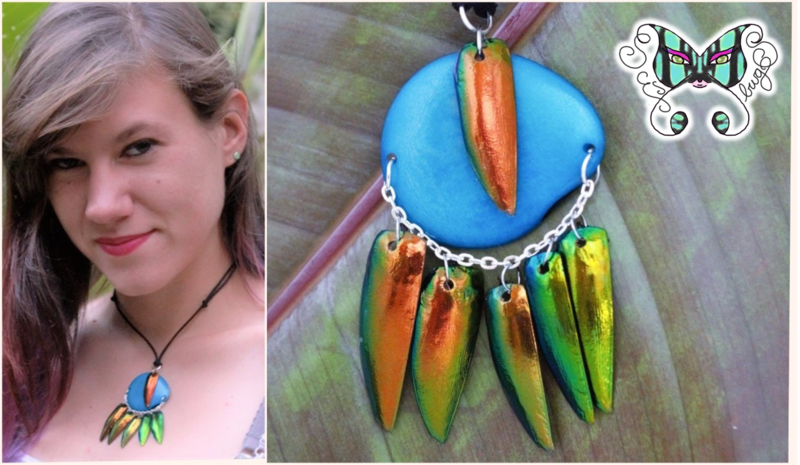 Tagua pieces (it’s a type of nut that grows on the coast of Ecuador) are lovingly paired with Jewel Beetle shells which are sustainablely harvested in Thailand much like palm weevils are harvested here in Ecuador. So if there’s someone in your life who needs some bug bling in their life, please consider supporting me and in turn Ask an Entomologist this holiday season. We don’t make any money off the site, so this helps keep me in the jungle, provide interesting content to you, and motor my way into town when the internet in the middle of the cloud forest isn’t up to par that day. Plus if you share on your social media page, send me a screenshot and I’ll give you a coupon! You can even get these lovelies here which feature emerald green beetle shells set atop teal and natural ivory tagua pieces. 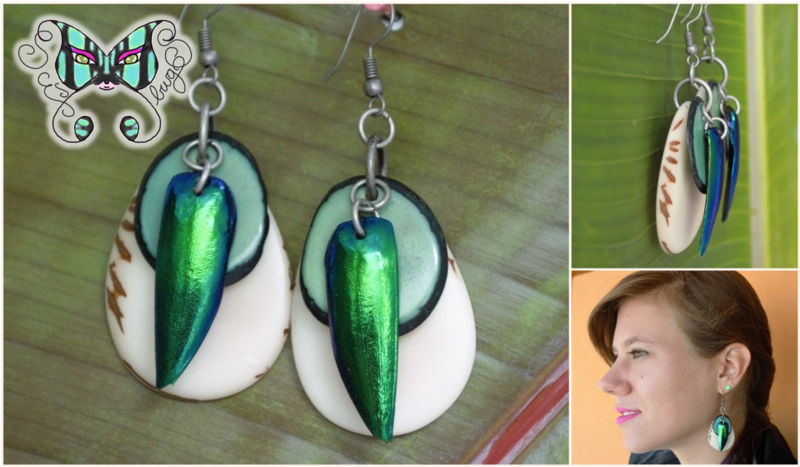 This entry was posted in News and tagged artist, beetle, buprestidae, coleoptera, economy, Ecuador, etsy, holiday, holiday shopping, jewel beetle, jewelry, local, palm, shop, sternocera, support, sustainable, tagua, Thailand. Bookmark the permalink.